When it comes to finding the right real estate professional for your move in or around Goldsboro, set your sights a little higher and call Goldsboro real estate professional Bruce Gates. He approaches real estate the same way he takes on everything else in life—aiming high and delivering big. Find all current Goldsboro area MLS Listings active on the local MLS systems by using Bruce’s Goldsboro Real Estate Listings Home Search. 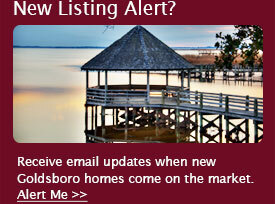 View all Goldsboro area homes & condos currently listed for sale, as well as request helpful, money-saving Goldsboro real estate reports. 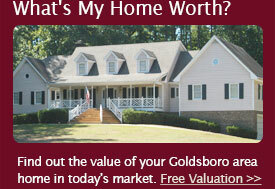 Here on Bruce’s website, you can access a wealth of information about the Goldsboro real estate market. If you’re looking to buy or sell your home, call the Realtor® who delivers A Higher Standard in Goldsboro real estate. Call Bruce today for a complimentary consultation. You’ll be glad you did.